50% off for the first 24 hours! 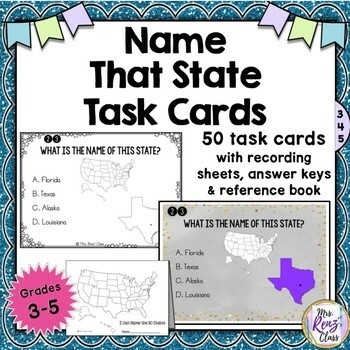 Help students learn the learn the names of the 50 states using task cards. The state is out of context from the map, making it more of a challenge for students. Students are asked to identify the name of the using 4 multiple choice answers. 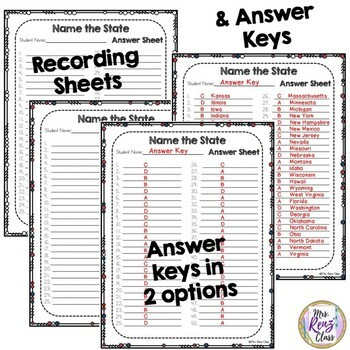 Task cards for all 50 states are included as well as recording sheets, answer keys in 2 formats and a reference helper booklet. 50 interactive digital task cards in both color and B&W. Task cards print 4/sheet of 8.5x11" paper. 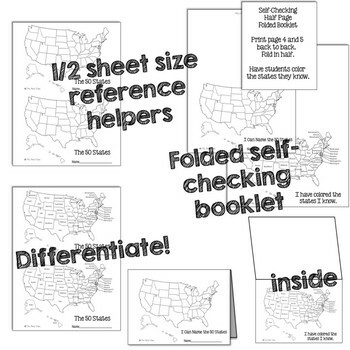 Folded reference helper booklet - students quiz themself using the blank USA map on the book cover, and self check by opening the book. Students get to color the states they know. 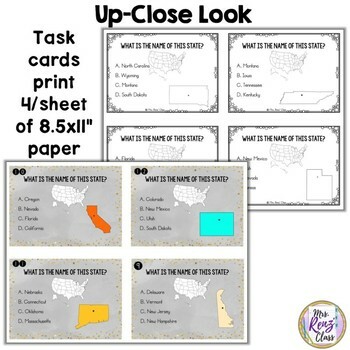 Enjoy this fun task card set!